The FBI has made a great deal of changes in its structure and mindset in the 17 years since Sept. 11, 2001. Christopher Wray took the reins of the bureau just over a year ago. He and the men and women who keep Americans safe from terrorism have been busier than ever. The Joint Terrorism Task Force, which includes the FBI and other federal, state and local agencies, receives about 15,000 tips a year. That’s roughly 40 per day or two an hour. 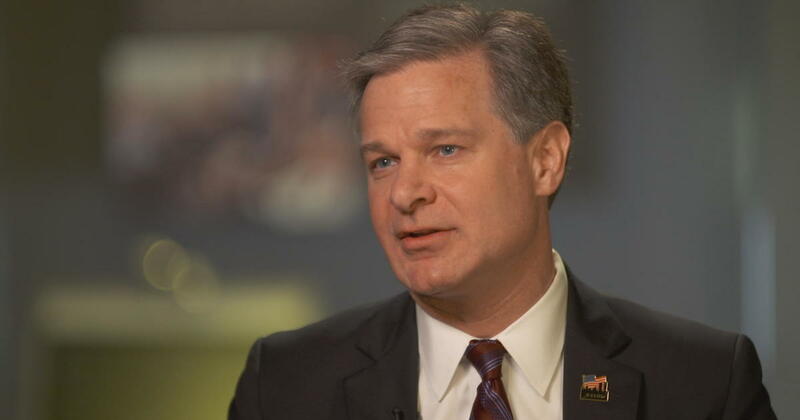 In an interview you’ll see only on “CBS This Morning,” co-host Norah O’Donnell spoke to Wray about why he believes the FBI is far better prepared to counter terror threats than it was in 2001. NORAH O’DONNELL: Do you think another 9/11-style attack could happen today? CHRISTOPHER WRAY: Well, I would say this, we are dramatically better positioned, the FBI is a totally different kind of organization in a lot of ways. We met with the FBI director last week at the 9/11 Memorial and Museum in New York, where he spoke with first responders still suffering from exposure to the toxic conditions at Ground Zero 17 years ago. “You fought to make sure that what happened that day would never ever happen again. So let us help you now,” Wray told them. O’DONNELL: 9/11 completely changed how the FBI does business. How has the threat changed? WRAY: So I think the threat, today’s terrorism threat, still includes sleeper cells, al Qaeda, all the kind of major terrorist organizations that you would think of, but we’re also very focused now on homegrown violent extremists, which are people who are largely here already, in the United States. … Big cities, small towns, coast to coast. And these are people who are largely radicalized online. O’DONNELL: How do you keep them from becoming radicalized online? WRAY: Well, the online issue is a challenge, right? I mean, terrorism today moves at the speed of social media. The part of it is engaging with social media companies in a way to try to get them to do certain things they can do voluntarily. O’DONNELL: And is Silicon Valley being helpful? WRAY: We’re getting much better cooperation than we used to. … I think there’s a view that this is a shared threat. … We all have kids. We all have family members. We all have potential victims. O’DONNELL: Can you say how many terrorist attacks you’ve thwarted in the past year? WRAY: In the last year, or so, we’ve thwarted attacks in San Francisco on the pier. … We’ve prevented an attack in a shopping mall in Miami… We prevented an attack in Cleveland, on the July Fourth holidays, where… there would have been thousands of people to celebrate our freedom. … We had about 1,000 investigations into just these homegrown violent extremists. That’s out of about 5,000 terrorism investigations. O’DONNELL: Right, that doesn’t even include the ISIS or al Qaeda-related. 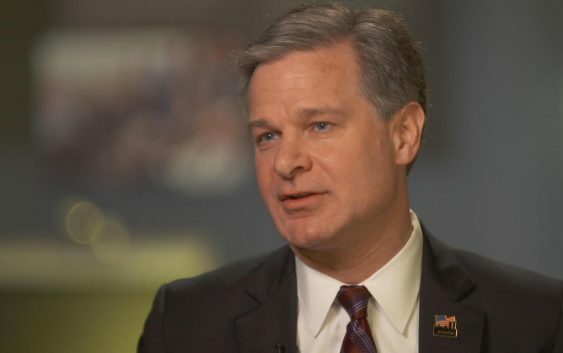 WRAY: Doesn’t include ISIS, doesn’t include al Qaeda, it doesn’t include domestic terrorism even. … This is a significant issue. We had about 120 arrests, terrorism-related arrests, last year alone. That’s just in the arrest context. So there’s a lot happening every day, 365 days a year right now in the terrorism front.